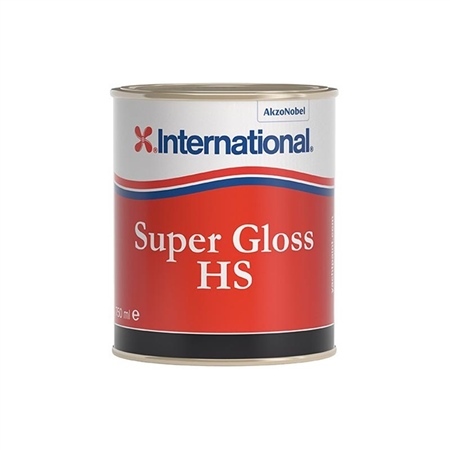 Formulated using high solid resin technology, Super Gloss HS is a low VOC high gloss yacht finish optimised for roller application, minimising the effort required to achieve an outstanding finish with great durability. It is easy to apply even at lower temperatures, this high solid formulation delivers full opacity in just 1-2 coats. One-part high gloss yacht finish optimised for roller application. Easy to apply by roller or brush; apply by roller without tipping off to achieve a durable, high gloss topside finish without the hassle. High solid resin technology; low VOC formulation. More paint and less solvent, resulting in reduced odour, reduced emissions and a high solid content that delivers full opacity in just 1-2 coats. Great application characteristics, even at lower temperatures. Number of coats: 1-2 coats; opacity may vary depending on paint colour and colour paint/substrate being overcoated. Typical Shelf Life: 2 years.